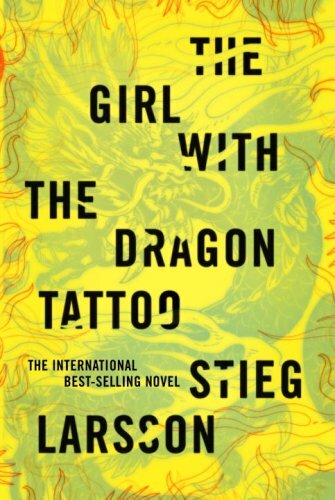 This news will undoubtedly come as no surprise to Ali Karim, The Rap Sheet’s British correspondent, who began touting The Girl with the Dragon Tattoo even before the first appearance of its English translation in the UK, but that 2008 novel by Swedish journalist-author Stieg Larsson has been chosen in a poll of this blog’s readers as the Best Mystery/Crime Novel of the Decade (2000-2009). With 292 ballots having been cast, Larsson’s thriller came out on top with 82 votes, or 28 percent of the total. 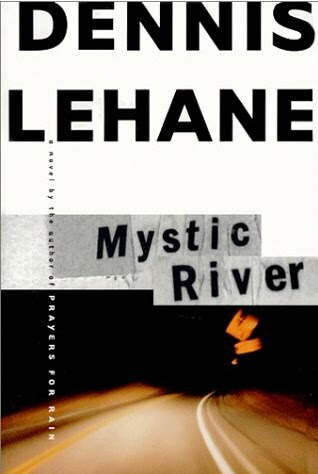 Second-place honors go to Dennis Lehane’s 2001 novel, Mystic River. It racked up 78 votes, or an extremely close 27 percent of the total. The third- and fourth-place positions in our survey were strongly contested as well. In the end, Irishman Ken Bruen’s initial Jack Taylor detective novel, The Guards (2001), captured the No. 3 slot with 52 votes (18 percent), while Spanish writer Carlos Ruiz Zafón’s first adult novel, The Shadow of the Wind (2001), slid into the No. 4 position with 46 votes (16 percent). Standing at the back of the winner’s circle: The Lincoln Lawyer (2005), by Michael Connelly, which came in at No. 5 with 21 votes (or 7 percent of the total), and Canadian author Louise Penny’s Still Life (2005), scoring 13 votes (4 percent). The six books featured in this poll were taken from Deadly Pleasures Mystery Magazine’s new list of Barry Award nominees. Its Mystery/Crime Novel of the Decade category is a special one for 2010. Predictably, there were many people who expressed disappointment that their favorites weren’t among the contenders on Deadly Pleasures’ docket, and therefore weren’t featured in The Rap Sheet’s poll. Alternative book suggestions included Peter Robinson’s Aftermath (2001), Gillian Flynn’s Sharp Objects (2006), Arnaldur Indriðason’s Jar City (2000), Peter Temple’s The Broken Shore (2005), Martin Cruz Smith’s Wolves Eat Dogs (2004), Philip Kerr’s A Quiet Flame (2008), Nancy Pickard’s The Virgin of Small Plains (2007), Louis Bayard’s Mr. Timothy (2003), Craig Holden’s The Jazz Bird (2002), Stephen Booth’s Blood on the Tongue (2002), and Megan Abbott’s Queenpin (2007). Some of the folks who commented on this survey didn’t identify specific works they would have liked to see in the running, but instead named authors they thought deserved to be mentioned, people such as George Pelecanos, Robert Crais, Laura Lippman, Reginald Hill, Max Allan Collins, Fred Vargas, Robert Littell, James Lee Burke, and Kate Atkinson. Feel free to voice your own opinions on the results of our poll and on Deadly Pleasures’ picks in the Comment section below. As you can see, there were two that the Rap Sheet bloggers mentioned and the Peter Temple was also considered. My personal favorite, DIALOGUES OF THE DEAD by Reginald Hill didn't make the cut so those who had personal favorites excluded from the final list, join the line. This was very interesting and thanks for doing it. George Easter, Editor of Deadly Pleasures Mystery Magazine. In case anyone is wondering, I only voted for THE GIRL WITH THE DRAGON TATTO once. I am glad that you posted a list of ones that missed the list, especially The Bottoms, Dialogues of the Dead, and Red Leaves. The ones I have read are SO good, I am making a new "to be read" of the ones I missed. What's unfortunate about such polls is that the more recent popular books always get the most votes. The latest "oh, wow! this is great!" book, which may fade into obscurity in ten or fifteen years, will leap to the top. History has shown that winners of such popularity contests don't always, or even often, have real staying power. Aaarrggghhh! Have the entire mystery-blogging community and - what's even more worrying - crime buffs & aficionados the world over, i.e. the great reading public, lost their f-ing minds??! !